Extra strike ahead of 2-2 draw in Uruguayan Primera División. 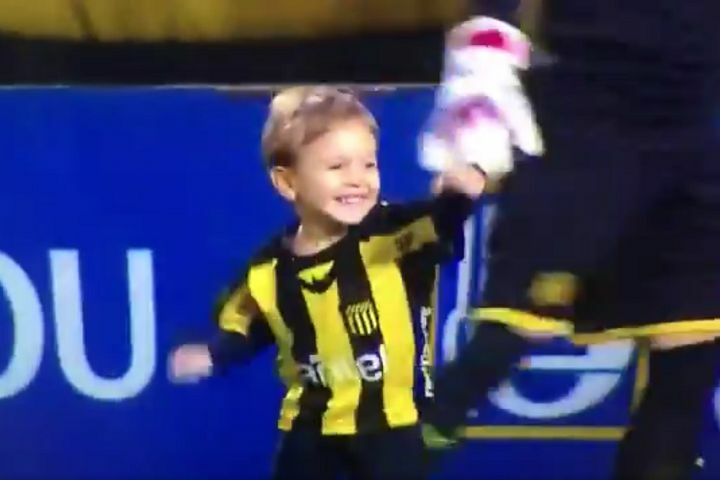 A child scored a goal on the pitch just before kick-off in Peñarol’s Uruguayan Primera División clash with Racing Club de Montevideo on Saturday. The atypical pitch invader managed to get onto the grass at Peñarol’s Campeón del Siglo stadium, just moments before the start of the match. With the ball at his feet, he slowly dribbled towards the home end and eventually landed a shot in the net. After being congratulated by the hosts’ goalkeeper Kevin Dawson, the youngster then tried to do it again but was thwarted when he was picked up by stadium security.